Indiana Key Club uses Portalbuzz to update each chapter's membership files and to keep track of dues for that academic year. Follow the instructions below for the process by which you update the files, if you are registered as a chapter on the site already, skip steps 1-3. Follow the prompts on screen to register your chapter. Once in the Key Club Portal, click on "Membership Update Center" icon on the upper left sidebar. Click on the "Members" tab on the upper toolbar. Update the new members of your club, while deleting the graduated members (if returning user). Click on the "Finances" tab on the upper toolbar. 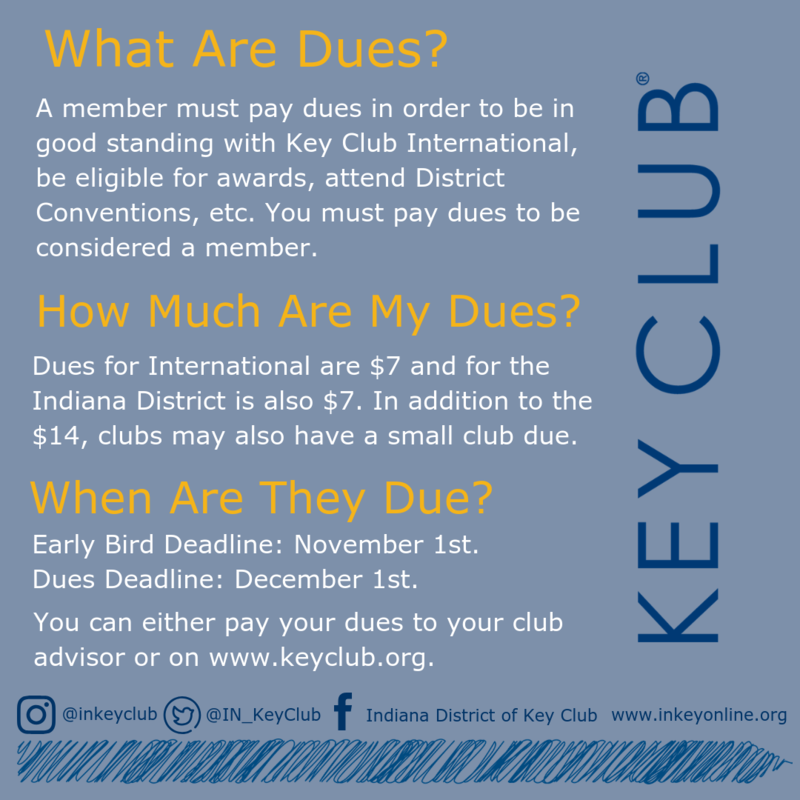 Print out the final invoice for your club to mail to Indiana Key Club before November 1st for the early bird patch. Click on the "Dashboard" tab. Update any information that may be outdated, making changes to the officers in respect to the coming year's board.